Water testing results will help us design the best solution for your water problems. AQUA-MAN Water Conditioning offers complete water analysis for all types of water sources. State licensed personnel can perform a complementary on site mineral analysis. In the event additional testing is needed, we take samples of the water to state certified laboratories for further analysis. Privately well owners should according to Environmental Protection Agency recommendations have a total coliform test performed at least annually to insure safety of well water. Water treatment equipment cannot be properly applied or sized until we know what is in your water. How hard is it? Is there iron present? If so, what type of iron? Does your water have an odor or does it smell bad? 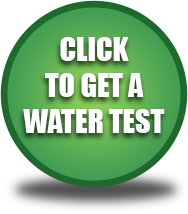 Contact AQUA-MAN to schedule your water test today!